Despite its name, the BR03-92 Bi-Compass doesn’t feature a compass function. 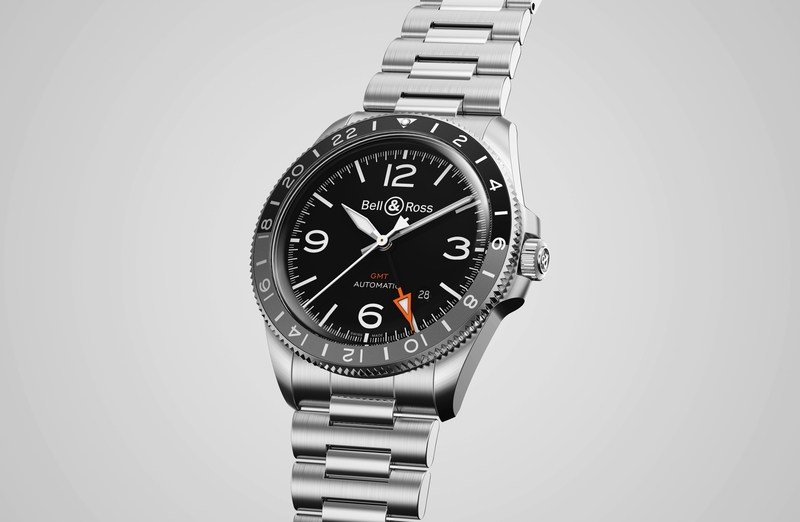 Technically, any watch with a standard 12-hour dial can act as a basic compass though. All you have to do is aim the hour hand at the sun, then look halfway in between the hour hand and the 12 o’clock mark and that’s South (as long as you are in the Northern hemisphere). Considering that, this Bell & Ross wristwatch does have a compass function. But that’s not why it has the word “Compass” in the name. 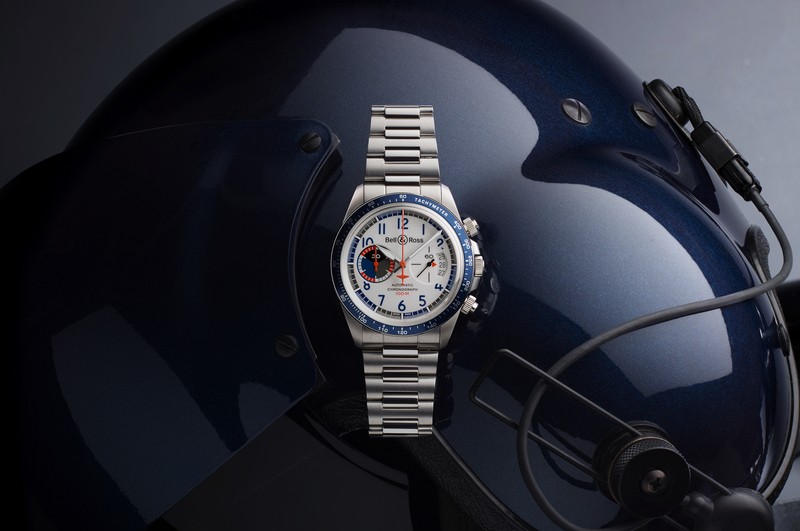 The watch aesthetic is based on an airplane’s cockpit gauges, specifically a radio compass. A radio compass is an airplane instrument that uses radio signals from a ground station to determine the direction the airplane is heading. Typically, a needle points toward a station, giving a bearing relative to the direction the aircraft is headed. 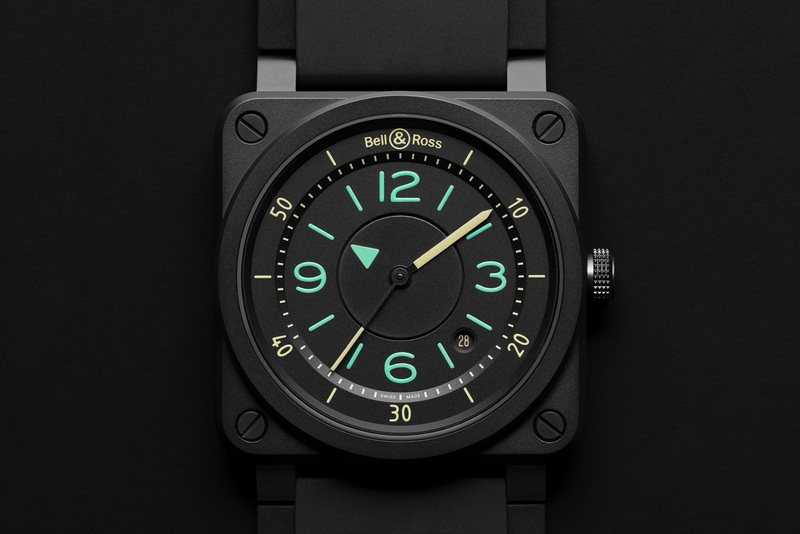 Housed in Bell & Ross’s signature 42 mm square-shaped case, the Instrument collection, consists of timepieces that are visually based on airplane “instrument” gauges. The watch case is made from black ceramic that has a matte finish and is 100 meters water-resistant. The dial, which has a color scheme designed to enhance legibility, is similar to a Radio Compass (pictured). Except the display reads hours, minutes, seconds and date, not direction. Instead of a traditional center-mounted hand, like what is used for the minutes and seconds, the hour indicator is on a rotating disc and marked with a prominent green arrow. Retail is $3,900. 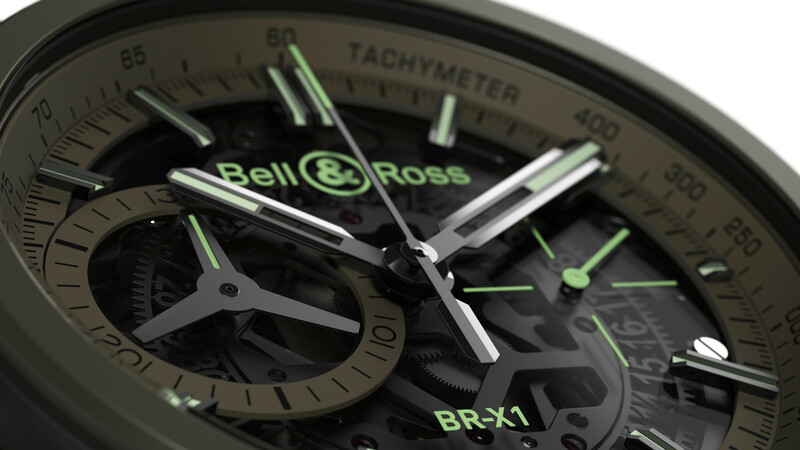 Read about Bell & Ross in our archives.